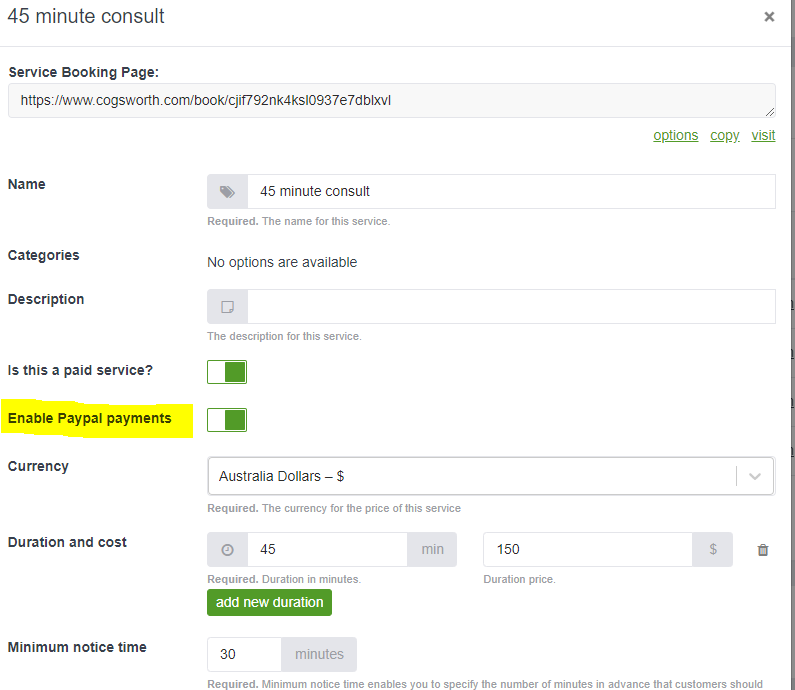 How do I accept payments through my booking page? Now you can get paid for your time, or your staff time - so many possibilities! Now you can edit an existing service or create a new service, set the duration of time you would like to charge for, your currency and then set your charges for your services. Your customers will be able to pay securely using PayPal INSIDE your booking page!